New York City is – and always has been – one of the music capitols of the world. In the mid-to-late 1960s, folk music and rock music came together with some jazz influences on the side to take popular music to a whole new place. It was when folk-rock was born and when the DNA for country-rock was starting to come into existence. The epicenter of this music was Greenwich Village – especially the 20-square-block area near Washington Square that included Bleecker Street. It was an area that was home to such legendary music clubs as the Bitter End, Café Au Go Go, the Gaslight Café, the Village Gate, Café Wha?, Gerde’s Folk City and the Village Vanguard. 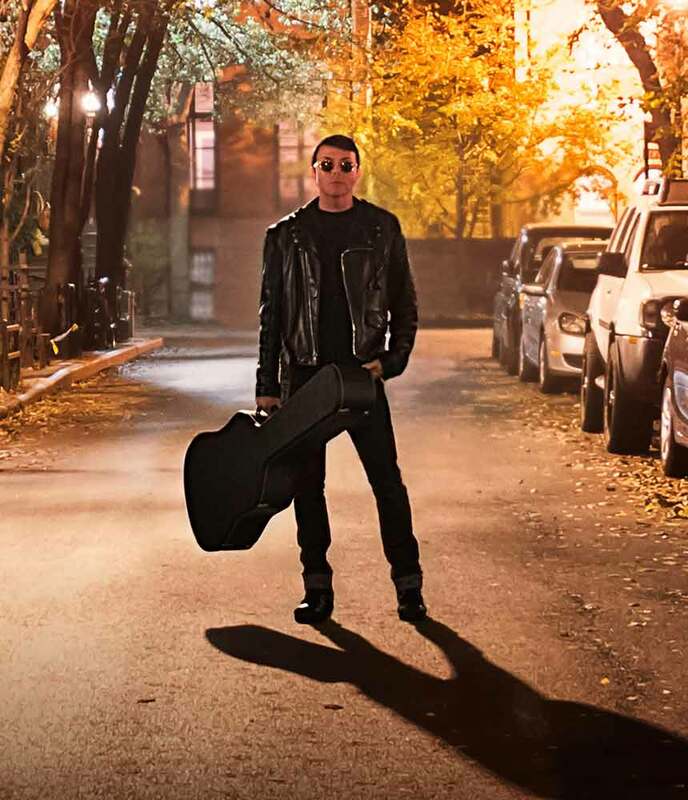 Richard Barone, a veteran New York rocker, knows the area and its history extremely well. And, he has a deep respect for the area’s musical history and the world-famous musicians it spawned. His new album “Sorrows & Promises: Greenwich Village In The 1960s” casts light on the songs that sprang from the singer-songwriters in and around Greenwich Village during that pivotal decade. While Top 40 hits were being churned out uptown in the Brill Building and at 1650 Broadway, the downtown writers were weaving folk, blues, R&B and rock into songs that still sound fresh and inventive 50 years later. Barone’s choices cover a broad range of writers, from Buddy Holly, who was living and demoing songs in his Greenwich Village apartment just before he died, to upcoming artists such as Paul Simon, John Sebastian (of the Lovin’ Spoonful) and Janis Ian; to artists who were redefining folk music for a new generation: Bob Dylan, Phil Ochs, Tim Hardin, Fred Neil. On June 17, Barone will bring his “Sorrows & Promises: Greenwich Village In The 1960s” show to the World Café Live (3025 Walnut Street, Philadelphia, 215-222-1400, www.worldcafelive.com). He will be accompanied by Steve Addabbo and Eric Bazilian. Addabbo is a Grammy-nominated producer, musician, writer, and recording engineer. He mixed all 400-plus tracks from the 2017 Grammy-winning Bob “Dylan Bootleg XII” and mixed Barone’s new album. Barone explained the catalyst for his current project. “I’ve lived in Greenwich Village since the mid-1980s and have always been aware of its history. I was taught about its history by Tiny Tim when I was younger and living in Tampa, Florida. “He talked about how there were all these great artists living in the same area – artist like Dylan and the Lovin’ Spoonful. As a kid, I had an idea that I’d visit Greenwich Village one day. I had no idea I’d ever live in the Village. “It’s still an amazing place. For years, I thought about all these artists living near Washington Square. They were a new generation of singer-songwriters. They wrote their own music and it was a big deal. Led by Fred Neil, the roster of artists Barone covered is more than impressive – Tim Hardin, Lou Reed and John Cale, John Sebastian, Janis Ian, Buddy Holly, Paul Simon, Bob Dylan, Phil Ochs, Richard Fariña, Dion and Eric Andersen. According to Barone, “Each time I walk out the door of my Greenwich Village apartment with guitar in hand, I’m aware that I stand in the long shadow of those who walked these streets before me. In the early 1960s, the Village became epicenter for one of the most revolutionary movements in the history of popular music. “Inspired by the folk revival of the 50s and early ‘60s, the voices of a new wave of young songwriters emanated from the local coffee houses to radios all over the world. It was a cultural phenomenon that forever changed the way we perceive popular music. “To pay tribute to those trailblazing troubadours for their artistry was a privilege and also a duty. Some of these writers and singers are household names, while others are less widely remembered. Some are dead – Tim Hardin, Lou Red, Buddy Holly – and some are still filling arenas with their live shows – Dylan, Paul Simon. All are legends. “At least half of them were bona-fide pop stars,” said Barone. “They are great artists. Most of them a 5thetime were 20-24 except Fred Neil, who was around 30. Barone, who also has a gig as a music professor at New York University, has started turning his thoughts to his next project. 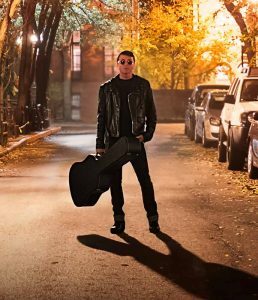 Video link for Richard Barone – https://youtu.be/Nnb00JafOUQ. The show at the World Cafe Live, which has Steve Addabbo as the opening act, will start at 8 p.m. Tickets are $17. On June 17, Franti is visiting the area with his “Love Out Loud Tour,” which will be hosted by the Electric Factory (421 North Seventh Street, Philadelphia, 215-627-1332, www.electricfactory.info). Franti’s most recent album release was “SoulRocker,” which was released last year on Fantasy Records. “The album came out last June and we’re still touring it,” said Franti, who has nine studio albums and 12 compilation and/or live albums. “We just released a new single ‘Summertime Is in Our Hands’ and the video for it is the best we’ve ever made. We made the video in Bali. We did it there because I have a yoga retreat hotel in Bali. “Summer is the time to spend time with people and a good time for climbing back through a rough time. Franti’s previous video “Crazy for You” also ranks among the best he’s ever done. “We shot the video last fall when we were on tour in Europe,” said Franti. “We shot most of it in Istanbul. I thought – how can we best show the internal craziness of my mind? The video features a new remix of “Crazy For You” which Franti is calling the “San Francisco Funk Remix.” Franti did over 200 takes to complete the video while avoiding computer-generated graphics or the utilization of green-screens. According to Franti, “A few weeks after we filmed in the Besiktas Soccer Stadium in Istanbul, 38 people were killed and 166 wounded in a terror attack just outside after a match. “We dedicate this video to them, to Besiktas Football supporters and to all those around the world calling for an end to political violence everywhere. “‘Crazy For You’ is a song for the person in your life who gets you through the times when it seems like the whole world is going completely crazy around you. I know a lot of people, myself included, who are feeling that way right now. On one of his previous tours, Franti had to cancel some shows – including one at the Queen in Wilmington – because of an injury. “While performing, I tore my meniscus and required surgery,” said Franti. “I was onstage and dancing gently. I was leaning back and forth and heard a pop. After that, I couldn’t move my knee anymore. I tore up my left knee, had surgery and was on crutches for six weeks. “I did a week of shows sitting on a stool. It was brutal having to sit because I’m used to jumping around on stage and running into the audience. Sitting still was a big challenge. But, I learned a few things like how to do more storytelling. Franti’s fans will be glad to hear that a new album is on the horizon. Franti approaches all his projects with enthusiasm and sincerity — especially his concerts. 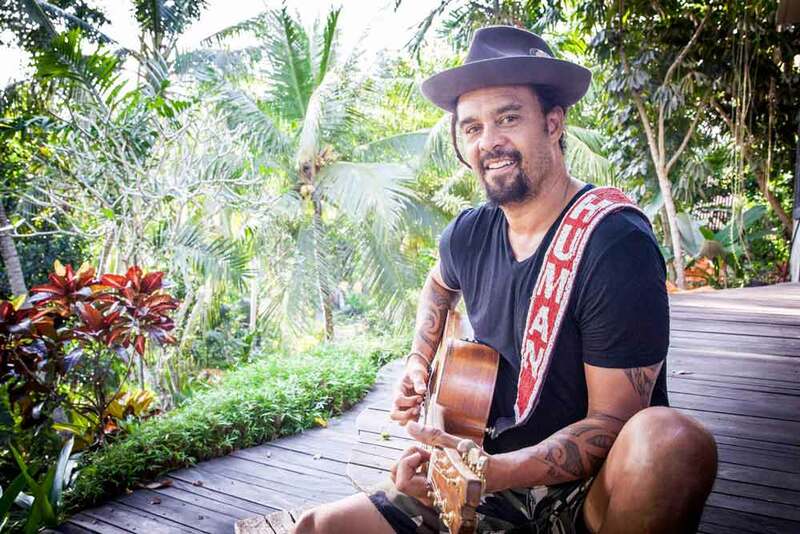 “When I’m putting together a set list for a show, I want to get together a collection of songs that represent who I am,” said Franti. “I’m very passionate about the world and everything I do. Video link for Michael Franti — https://youtu.be/J55NOROVBgI. The show at the Electric Factory, which has Nattali Rize as the opening act, will start at 8:30 p.m. Tickets are $35 at the door. Thrice will play Philly on June 17 as part of a power-packed show at Festival Pier at Penn’s Landing (601 North Columbus Boulevard at Spring Garden Street, Philadelphia, 215- 629-3200, www.festivalpierphilly.com) that also features Deftones and Rise Against. 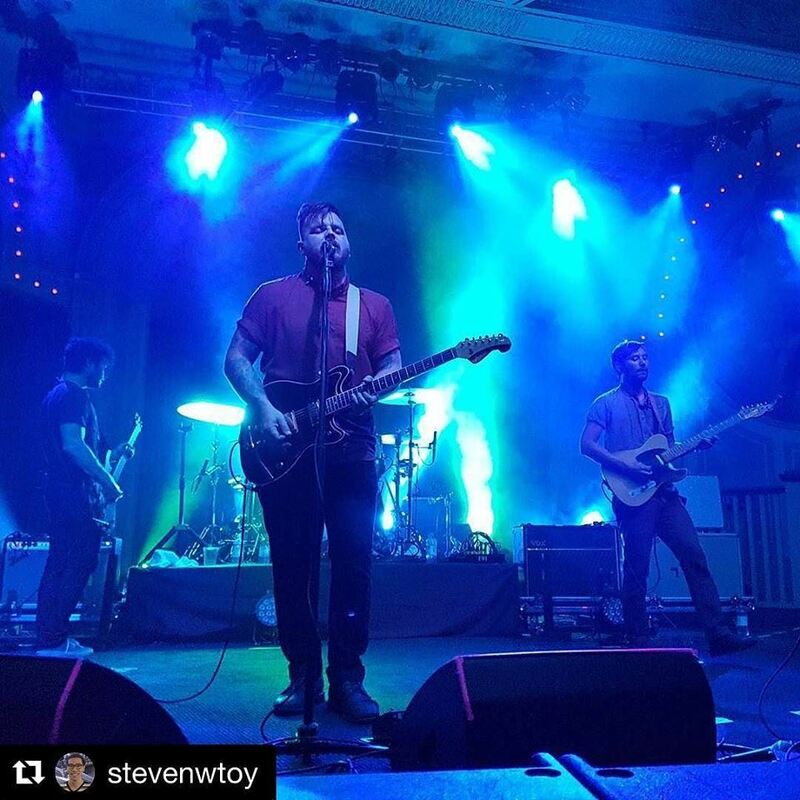 Thrice was out together in Irvine, California in 1998 by guitarist/vocalist Dustin Kensrue and guitarist Teppei Teranishi while they were in high school. The pair then added Eddie Breckenridge on bass and his brother Riley Breckenridge on drums. Over the years, the four musicians experimented with different styles of music while retaining their core musical identity throughout. They released their debut album “Identity Crisis” in 2000 and then followed with seven more LPs over the next 10 years. Thrice released its ninth studio album “To Be Everywhere Is To Be Nowhere” in May 2016. The album, which was produced by Eric Palmquist, sold nearly 22,000 copies first week and landing itself the #8 spot on the US Soundscan Top Current Albums Chart — the band’s highest debut in its18-year career. “To Be Everywhere Is To Be Nowhere” was also the #1 Indie Release, #1 Current Rock, #1 Hard Music, #1 Current Alternative, #1 LP Vinyl and #15 on Billboard’s Top 200 for the week. ‘We’re still touring ‘To Be Everywhere’ now,” said Kensrue, during a phone interview Wednesday afternoon from a tour stop in Maryland. “And, we’re starting to write for the next album. First is this tour with Deftones and Rise Against and we’ll be doing our own tour in the fall. Fans of Thrice have to be happy just to have a new Thrice material to listen to and to have the opportunity to hear the band play live again — especially considering it wasn’t that long ago that Thrice staged its farewell tour. Following Thrice’s spring 2012 tour, the band went on hiatus. In the group’s public statement, Kensrue said that Thrice is not breaking up, but that the band would be taking a break from being a full-time band. But, Kensrue and his mates held their promise that the band wasn’t breaking up. The group got back together to play a few festivals last year and then headed into the studio to make an album of fresh new songs. “I do pretty much all the lyrics,” said Kensrue. “As far as the music, it’s very participatory and very democratic. I think if we didn’t do it that way, the band would be lacking for it. It produces a good tension. Thrice cut the record in January and February 2016 at Palmquist Studios in Alhambra, California. Now, Thrice is closing in on its 20th anniversary. Video link for Thrice — https://youtu.be/WNTjrsLOuHo. The show at Festival Pier will start at 6:30 p.m. Tickets are $90. 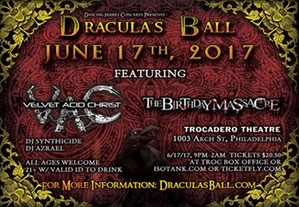 Another interesting show on June 17 will take place a few blocks away from Festival Pier when The Birthday Massacre headlines “Dracula’s Ball” at the Trocadero (10th and Arch streets, Philadelphia, 215-922-6888, www.thetroc.com). The Birthday Massacre – Chibi, Vocals; Rainbow, Guitars/Programming/Vocals; M. Falcore, Guitars; Rhim, Drums; Owen, Keyboards; Nate Manor, Bass — is a gothic rock/dark wave/electronic rock band from Toronto, Ontario. The band is currently touring in support of its new album “Under Your Spell,” which was released via Metropolis Records on June 9. 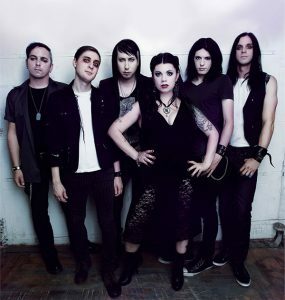 The Birthday Massacre was formed in 1999 and independently produced and recorded their first two albums, “Nothing and Nowhere” and “Violet.” Through both of these high-demand releases, as well as their highly acclaimed and beautifully atmospheric website, the band obtained a large and loyal fan base throughout the world. “Rainbow has been playing in bands in high school and had played with Falcore,” said Chibi, during a phone interview Wednesday afternoon as the band traveled from Orlando, Florida to a gig in Atlanta, Georgia. “I had no experience at being in a band. The only singing I had done was in school choirs. Me and rainbow were doing these cover songs just for fun. Then, we started doing original songs – writing songs we like. Based on their independent success, The Birthday Massacre was approached by European record label Repo Records in 2005 — followed shortly by Metropolis Records in North America. The band began reaching a much wider audience with the 2007 release of the acclaimed “Walking With Strangers” album. ‘”We’ve done PledgeMusic campaigns for our last two albums – ‘Superstition’ and ‘Under Your Spell’,” said Chibi. “Both were very successful. ‘Under Your Spell’ reached its goal in two days. We’re really grateful to have such a dedicated fanbase. “We recorded the album over the last eight or nine months. We have a studio in Toronto called Desolation Studios that we use for all our recording. I’m the lyricist and we had a very intense writing period in late winter and early spring. “This album is different from our other albums in that the songs share an emotional theme – a certain vibe that came through. It’s a very emotional album – an angry album about heartbreak. Video link for The Birthday Massacre – https://youtu.be/GmE8go5PXGA. “Dracula’s Ball,” which also features Velvet Acid Christ, DJ Synthicide, and DJ Azrael, will start at 9 p.m. Tickets are $23. Ortega is Canadian country singer-songwriter whose voice has been described as a blend of Dolly Parton, Johnny Cash, and Emmylou Harris. She spent nearly a decade as an independent artist in the Toronto music scene, releasing two albums and an EP. The songs are the hard-won spoils of an internal war with words that struck after an extended stretch of touring. This is addressed in the EP’s title track about the detours and ditches that a traveling musician faces. 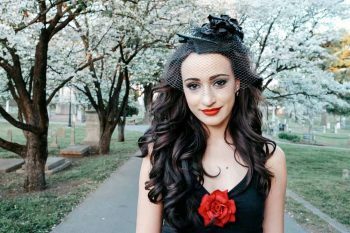 “I left my previous record company Last gang in December,” said Ortega, during a phone interview Wednesday afternoon from her home in Calgary, Alberta. Ortega grew up in Toronto and then lived in Nashville for five years. In February, she moved to Calgary where her fiancé lives. “People ask how a girl from Toronto got into country music,” said Ortega. “My mom had a huge collection of country albums that I listened to a lot. And, I remember watching the Dolly Parton Show on TV with her when I was a kid. “I don’t think my music falls not any one category. In Toronto, I was a singer-songwriter when I started doing stage shows. Asked if I’m country and I say I have no idea. Blues, soul, classic rock – it all plays into what I do. But, I get put into Americana because it’s easy for people that way. Video link for Lindi Ortega – https://youtu.be/jytWfa2Pacw. 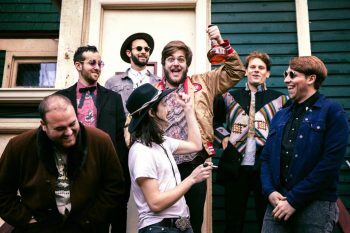 The show at Building 24, which has Little Leroys and Caroline Reese & the Drifting Fifth as the opening acts, will start at 7 p.m. Tickets are $20. 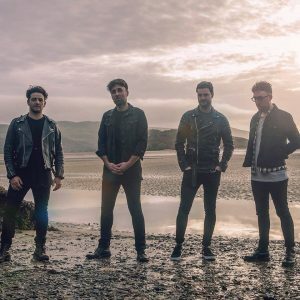 On June 18, Coda (1712 Walnut Street, Philadelphia, 267- 639-4630, http://www.codaphilly.com/) will host the first-ever area show by the Alvarez Kings, a U.K.-based alternative pop quartet. 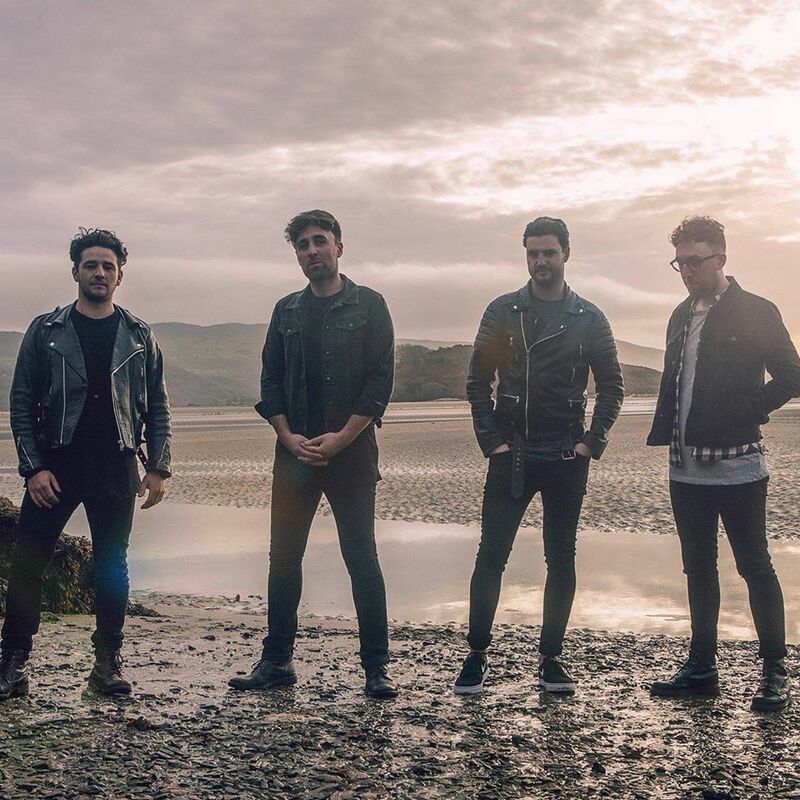 The foursome from Sheffield — Richard Walker, Sean Parkin and brothers Simon and Paul Thompson — just released its new album, “Somewhere Between” on Sire/Warner Bros. Records. They share the name with an infamous old school South American gang. “This outfit has been together for five years and this is our first U.S. headlining tour,” said Sean Parkin, during a phone interview Wednesday afternoon from a tour stop in Boston. “I was the last one to join the band. When the old guitarist started a family and didn’t want to continue, they asked me to join the band. I agreed when I was drunk and then had three days to learn all the sings before leaving for a three-week tour. “We were all good friends before I joined the band. I was touring with my previous band and had become friends with the other guys. Me and Simon were writing songs together before I even joined the band. The distance didn’t prevent them from working together on the album. “The new album has been a work in progress – for two years actually,” said Parkin. “A lot of the songs we had in our arsenal for a while. The melodies and the lyrics were too important to let go by the wayside. And, some songs were written a few weeks before recording them. Every song has been a labor of love. “We had three-and-a-half weeks to record the whole album. We made it at Ocean Studios in L.A. with Carlos de la Garza as the producer. It’s a great studio with real instruments and old synthesizers. “A majority of the recording was all analog – especially on the way in. We finished at the end of June last year. Then, I flew back to L.A. in August to mix it with Carlos. The all-ages show at Coda, which has Jay Pray and Ilya Setra as openers, will start at 7 p.m. Tickets are $10. The “Last of the Acid Cowboys” sounds like the title of a biography of the late, great Gram Parsons, who had a legendary career with the Byrds and the Flying Burrito Brothers before his untimely death at a young age. In reality, “Last of the Acid Cowboys” is the title of the new album by Evolfo. Evolfo released its debut LP, “Last of the Acid Cowboys,” on April 7 via Royal Potato Family. In support of its new record, Evolfo is out on an extensive cross-country tour that includes a local stop on June 18 at Ortlieb’s (847 North Third Street, Philadelphia, 267- 324-3348, www.ticketfly.com). Evolfo — Matthew Gibbs, Angelo Spampinato, Rafferty Swink, Ronnie Lanzilotta, Jared Yee, Kai Sorensen, Benjamin Allen Adams – first came into existence in 2009 when the band’s core members were still in high school in Allston, Masachusetts. Fronted by guitarist and vocalist Matt Gibbs, the band “paid its dues” on the basement party circuit and earned a reputation for playing bacchanalian live shows. The band labeled its music “gypsy funk” and played a blend of pop, punk, funk, ska, salsa and Eastern European rhythms. After a while, they opted to move on from Boston. “We decided that we should relocate to New York as a career move,” said Gibbs, during a phone interview Tuesday morning. Evolfo gained much support while still in Boston after its first independent release in September 2012 — “The Food of Love” EP, which featured a song and video for what is perhaps the best known Evolfo track “You Light Me Up”. In December 2012, the septet was invited to perform in front of the entire Boston music community at the Boston Music Awards, it was announced as the winner of the “International Artist of the Year” award. Video link for Evolfo – https://youtu.be/6yWnu9WxerI. The show at Ortlieb’s, which has Lightninging and Poor Devils as openers, will start at 8 p.m. Tickets are $10.